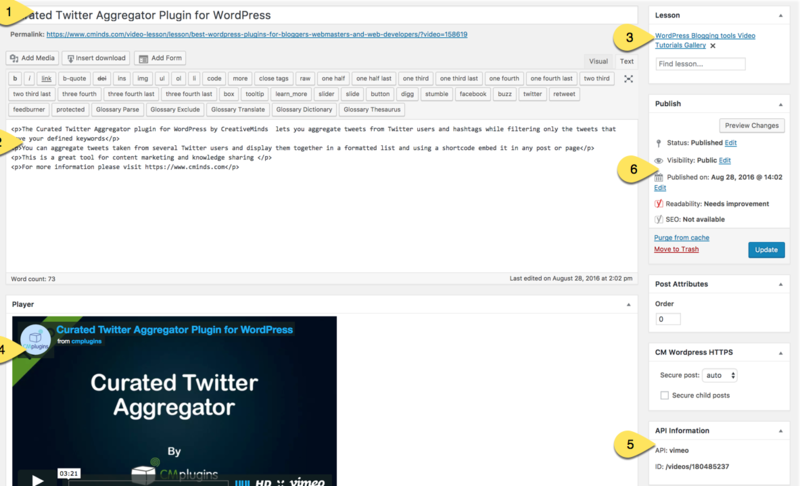 From Version 2.X on the plugin has a new content hierarchy that better serves the purpose of running video courses. 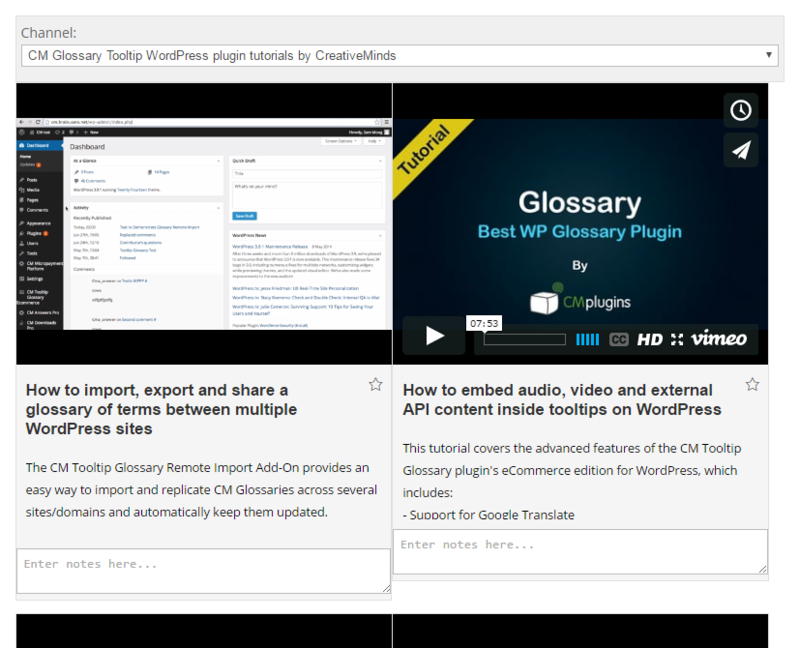 1) Video custom post - A custom post is created for each video imported from either Vimeo or Wistia. 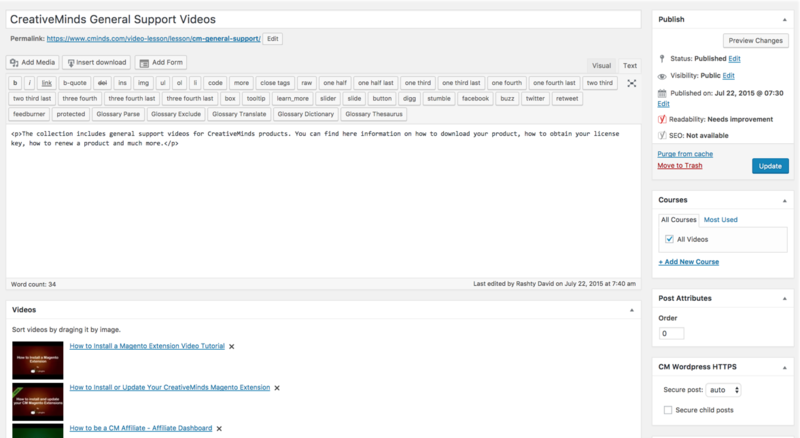 The custom post includes the video title, description and visibility status. Each video can be assigned to one lesson only. If you need to assign the same video to more than one lesson you need to import it again. 2) Lesson - Videos are aggregated in a lesson. Lessons are custom posts which includes titles, a description, and the list of videos assigned to this lesson. You can order the videos in the lesson manually or choose from existing ordering options. 3) Course - Lessons are assigned to courses. Courses are custom taxonomies. While creating new lessons you can select the course to which it is assigned to or if a suitable course is yet to be created one can be made quickly on the Create Lesson page. 4) It's possible to display a single video, lesson or course on a page. Videos and Lessons are displayed using their unique permalinks and Courses are displayed using shortcodes. Videos can also be shown using permalinks.